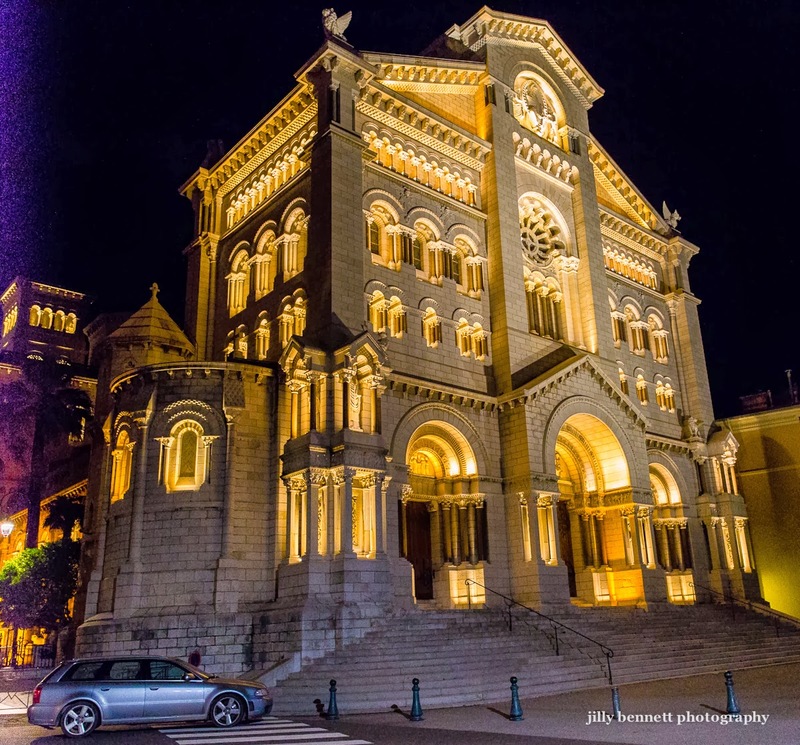 Monaco's cathedral at night. This is where HSH Prince Rainier III and HSH Princess Grace are buried. It's beautiful and dramatic in a eye-catching way.